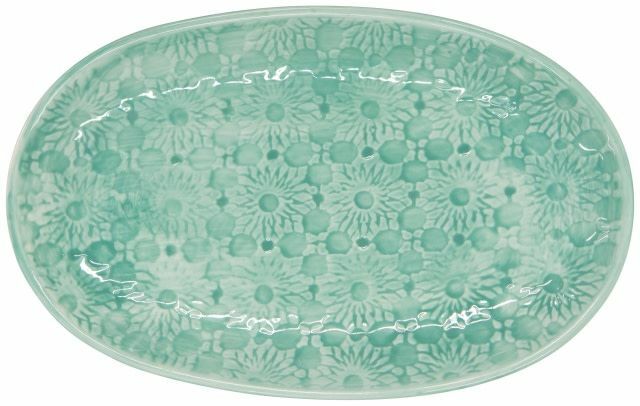 Serve small appetizers and snacks on this beautiful embossed dish. Or use in the bathroom for holding soap. A wash glaze completes the look and makes it shines.